WhatsApp released the WhatsApp Business API earlier this week and India’s online travel ticket booking platform, Goibibo, has now announced that it will allow users to ‘Login with WhatsApp’ on its mobile website. 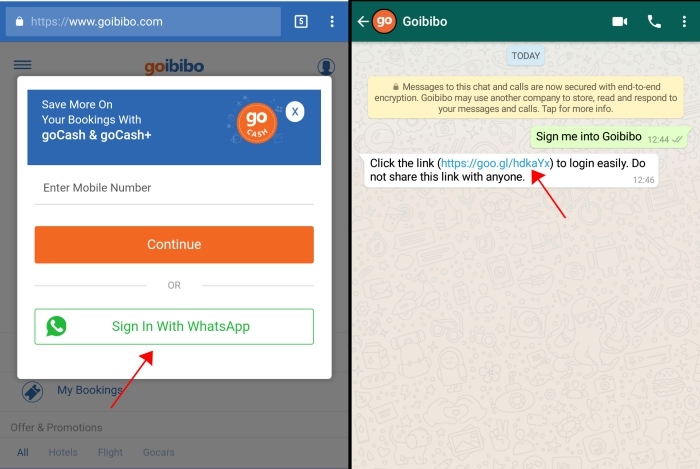 In its official blog post, Goibibo says that it has added a ‘first-of-its-kind’ Whatsapp login authentication to its mobile website to make it simpler for users to log into their account without entering a password, mobile number, or OTP. This is a great initiative as the users often forget passwords, but our WhatsApp is certainly working at most times. 1. To test out the feature, navigate to the Goibibo website in your mobile browser and tap the ‘profile’ icon at the top left. 2. Now, tap on the ‘Sign in’ link, followed by the ‘Sign In With WhatsApp’ option that you’ll see in the pop-up window (as seen below). 3. You are then taken to the messaging app, where the Goibibo bot will open and you have to send ‘Sign me into Goibobo’ to it. 4. 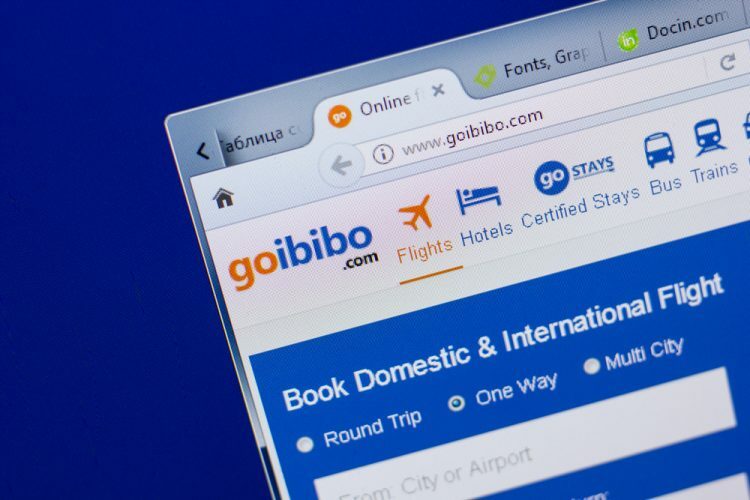 You will then receive a login link (as seen above), which you need to tap to be logged into the Goibibo account in the browser. And voilà, you are ready to book your tickets! While this authentication feature will come in quite handy for forgetful users, I found the process to be quite tiresome as the Goibibo bot on WhatsApp was painfully slow. I received a reply, with the login link, several minutes after sending a message to the bot. Instead of waiting around, I would have been log in using my mobile number and OTP to get to booking tickets right away. The company, in its blog post, says that over 1000 users are already using the feature to log into their accounts. There’s a retention rate of around 93%, which means 930 out of 1000 users did tap the login link to use Goibibo. The Goibibo WhatsApp bot also offers you access to bookings, booking status, loading Gocash and even weather forecast. The WhatsApp authentication feature is available only on the mobile web but is expected to reach its Android and iOS apps very soon.